The Admiralty Islands lie to the north of New Guinea and are part of Papua New Guinea. 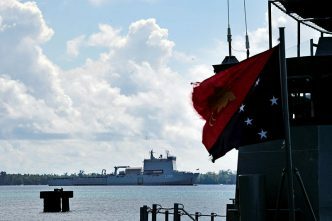 The largest island, Manus, possesses a vast deep-water anchorage in Seeadler Harbour, whose position gives it potential not only as an advanced base for the defence of New Guinea and Australia, but a springboard into the Pacific and Southeast Asia. The strategic potential of the islands for the security of Australia was recognised in 1919 by Admiral John Jellicoe during his tour of the Western Pacific to advise on imperial naval planning for the region. He designated Manus Island as ‘Harbour “A”’, a prospective secret wartime base for a future concentrated Far East Fleet. Arguably, Manus’ importance had already been appreciated in the Australian government’s drive in 1914 to ensure Australia occupied German New Guinea and the associated islands before the Japanese could seize the opportunity. In 1919 then-prime minister Billy Hughes described these acquisitions as ‘the gateways to our citadel’ and he worked hard to ensure that Australia received a League of Nations mandate to control them. Despite Australia’s strategic interest, there was never any money in the inter-war years for installing base facilities in the islands. They remained undeveloped until their 1942 occupation by the Japanese, who built an airstrip and installed a small garrison as part of their defensive perimeter in the Southwest Pacific. The Admiralty Islands were recovered in a five-week campaign between February and April 1944 by American troops supported by US and Australian naval forces. The Americans suffered more than 1,000 casualties, 294 of whom were killed, while the Japanese lost more than 4,000 dead. Work to extend the existing airfield, develop another and build shore installations began immediately, the RAN contributing with a survey of the main anchorage. By September 1944, Manus Island was the centre of a naval and air base complex manned by 37,000 personnel. Seeadler Harbour had designated anchorages for no less than 262 combatant units. The repair facilities matched those of Pearl Harbor and included a floating dock with a capacity of 100,000 tons, big enough to take the largest aircraft carrier or battleship. Over five months, the US spent US$238 million on the project. By early 1945, events were moving so quickly that Manus had lost some of its value to the Americans. The axis of the main US Navy campaign against Japan now lay further north, and more northerly anchorages, such as Ulithi Atoll, had been occupied and put in service. The breakneck development of the USN’s floating logistics and repair forces meant the necessary support could be provided from even the most undeveloped island harbours. 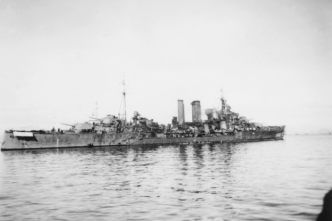 However, a new primary user emerged in the British Pacific Fleet (BPF). As envisaged by Jellicoe in 1919, Manus’ positioning made it ideal as an intermediate base between Australia, where the BPF was based, and the approaches to Japan. Although the main RAN squadron operated with the USN rather than the BPF, geography meant that the Australian ships also continued to use Manus as a staging post. British and Australian feelings about Manus were mixed. Some nicknamed it ‘Scapa in technicolour’ after the bleak fleet anchorage in the Orkney Islands north of Scotland. The isolation, heat and humidity—all the more oppressive in un-air-conditioned ships shut down for war—made one British officer also christen it ‘the island of lost souls’. 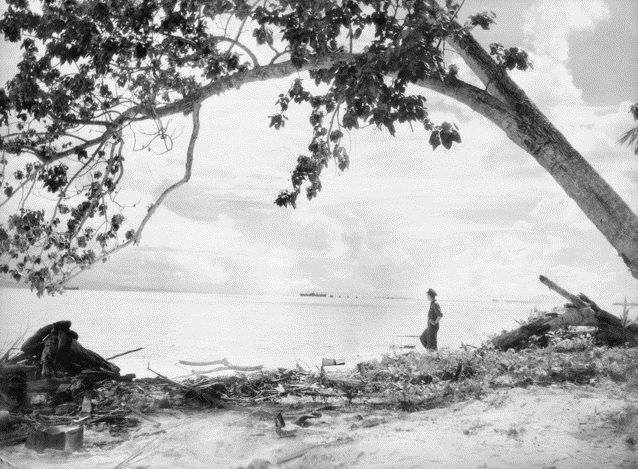 In the immediate aftermath of the war, the USN proposed that Manus be one of nine major fleet bases to be maintained in the Pacific. But the model under which this would operate, with control of the islands largely surrendered to the US, was opposed by the Australian government. Australia had already fired a warning shot in the form of the 1944 ANZAC Pact with New Zealand, which declared that construction and use of military installations did not afford the power concerned any basis for territorial claims or rights of control after a conflict. This had not been well received by the Americans. Australia’s Minister for External Affairs, H.V. 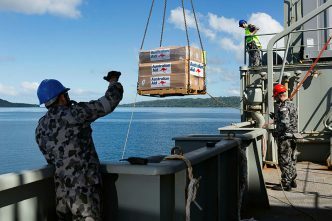 Evatt, tried to take advantage of the American interest in Manus. His initial hope was that the Americans would agree to a security guarantee which could include Australia and New Guinea in return for its use. He also sought not only guaranteed access to the base for Australian units but access to other American bases as well. By March 1946, Evatt was proposing an ‘overall defence arrangement for the region of the Western Pacific’. Unwilling to commit to anything that resembled a formal alliance, the Americans suggested in reply that they hand over the facilities to Australia on the promise that the latter would maintain them in good order and allow the Americans not only free access but the right to resume full control when required. This created the prospect for Australia of a significant financial burden without much return. This was not a period of good relations between the two nations, feeling their way in a complex and uncertain post-war environment. Evatt’s aggressive manner and propensity to cause offence did not help, but in 1946 neither nation was ready to make the political or resource commitments that would have been required to maintain the base. To be fair to the US, Manus was also a logical victim of intense pressure on the US military to economise in the post-war period. Its positioning gave it utility in relation to Australia, Micronesia and Southeast Asia, but the key American strategic priorities were further north. Bases such as Guam, over which America already had full legal control, were of more use in relation to China, Japan and the USSR, while the Philippines could host facilities closer to mainland Southeast Asia. 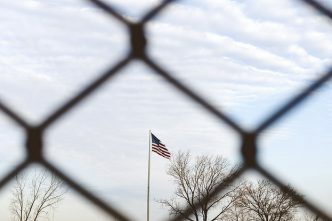 As a result, agreement was never reached, and the US completely withdrew from Manus. What US forces did not take with them was stripped out by Chinese commercial contractors. This meant that Australia had to start largely from scratch to develop its own facilities. An Australian base on Manus was formally established in 1950 at Lombrum, initially commissioned as HMAS Seeadler, but soon renamed Tarangau to avoid the German connotations*. Over the next decade, oil fuel storages, a wharf and radio station were built, and the harbour proved a useful stopping point for RAN units on the way to the Far East Strategic Reserve, as well as the base for the slowly developing Papua New Guinea Division of the RAN. 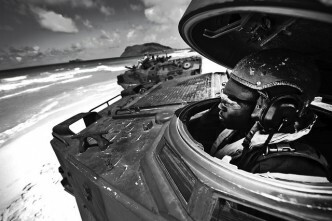 With independence in 1975, establishment of the Papua New Guinea Defence Force saw the base transferred to PNG control. Despite chronic shortages of money and materiel in the decades since, in 2018 Lombrum Naval Base continues to be key to the PNGDF’s maritime operations. *‘Seeadler’ means ‘sea eagle’ in German and ‘Tarangau’ is its Tok Pisin equivalent. James Goldrick is an adjunct professor at the ANU’s Strategic and Defence Studies Centre, an adjunct professor and a member of the Naval Studies Group of the Australian Centre for the Study of Armed Conflict and Society at UNSW Canberra, and a fellow of the RAN’s Sea Power Centre. Image courtesy of the Australian War Memorial.